What type of jackpots are there? The elusive jackpot. 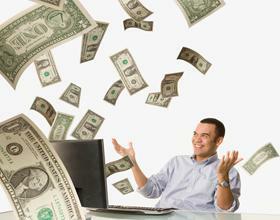 Every online casino on the planet, whether online or off, advertises their larger-than-life jackpots. With online slots being the most popular games at pretty much every casino, it’s the thrill of chasing that big jackpot that brings players through the doors. But some casinos advertise larger jackpots than others. Some will promote their million-dollar jackpots. Others will talk about the $1,100 jackpot that a player just hit. Many will tell you that they have the most jackpots available anywhere, while others offer just a handful of jackpots that happen to be very big. So how do you know which jackpot is worth playing? We’re here to walk you through everything, so have a look and learn about all the jackpots available at land-based casinos and in the real world too. Often called standalone jackpots or independent jackpots, flat jackpots are jackpots that sit at a fixed amount. They never grow bigger, but they are replaced as soon as they’re hit. For example, you might see a $1,500 jackpot on an online slots game. This figure will remain at $1,500, even if the jackpot isn’t hit after a month. In fact, flat jackpots can stay the same for years, so because of their size they’re usually hit quite frequently. This type of jackpot grows and grows and grows each time a player feeds the machine. Basically, a portion of each bet gets tossed into the jackpot. It should be noted that with standalone progressive jackpots, the jackpot grows by the player feeding that machine and that machine only. This type of jackpot is not linked with other machines. That means a $1,500 on one slot machine could be at $3,400 on an identical machine right next to it. You’ll find this type of slot machine in Las Vegas casinos or in gaming sites around the world. A casino will link a bunch of machines on the floor together. The group of machines will feed the same single jackpot, which grows and grows until someone hits it. Because multiple players on the casino floor are feeding the same jackpot, this type of jackpot grows faster. You’ll see wide progressive jackpots at online casinos and at larger land-based casinos. In a nutshell, this is a lot like proprietary progressive jackpots, but unleashed. Instead of the machines having to live in the same casino, slots are linked all around the same city, state, country, or, in the case of online, all across the planet. That means when you could feed the same jackpot while at home in your kitchen making dinner at the same that someone in Australia is feeding the same jackpot during breakfast. 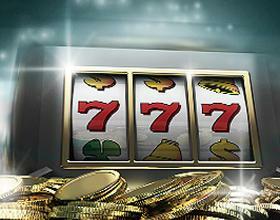 Ready to smash a big jackpot playing online? At Palace of Chance, we offer some of the biggest jackpots online. Many of our jackpots are linked to give you a huge opportunity to win something big, though you’ll also find single jackpots. All it takes is a free Palace of Chance account to get started, so come play.